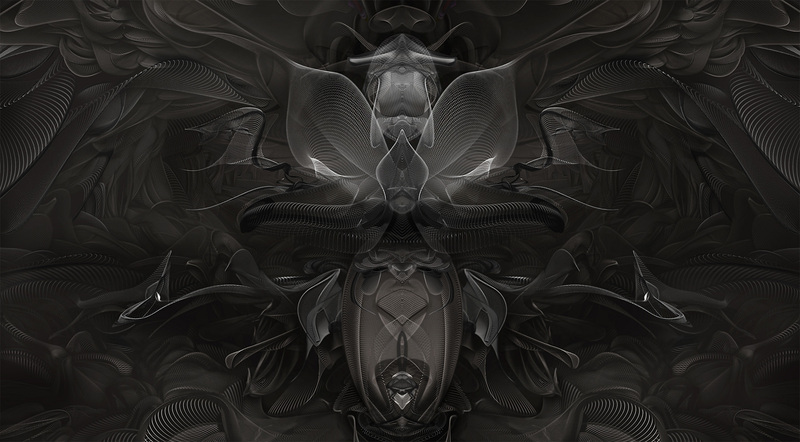 Insecta Echoes is a set of insect inspiered pieces for the Echoes chapter. The idea is to take rendered shapes entirely made out of particles on to one half of the canvas, copy the layer and turn it vertical and/or horizontal on the other half for a mirror effect. Making it echo. Which leaves us at my take on the Echoes theme. The image is made with After Effects and Trapcodes Particular and Form particle system.